Located in the community of Virginia Park along 112th Avenue, the park has over 100 years of history. It is filled with art works, walking paths, a formal flower garden and is a great place to have a ball game, play tennis or just relax and have a picnic. 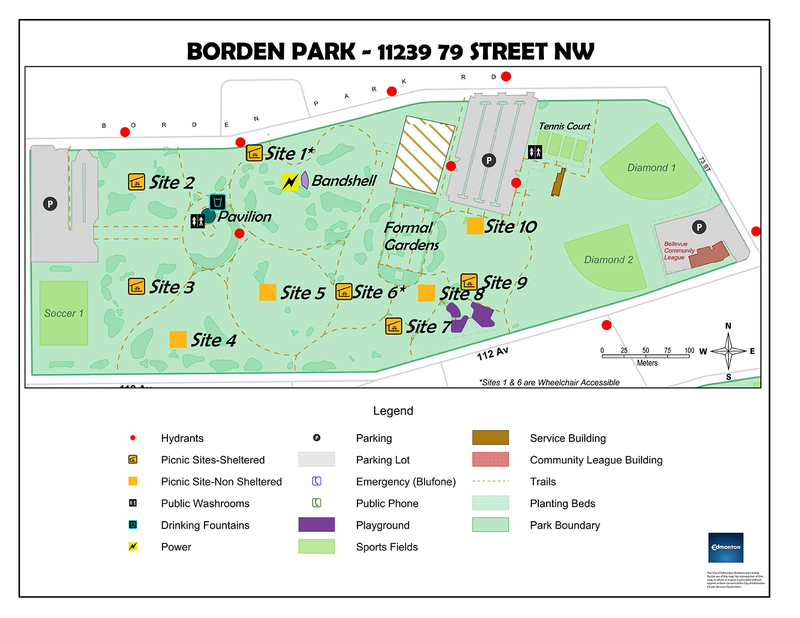 Borden Park has 4 picnic sites available for reservation during the summer, with tables available for drop-in (no fee) use. Additionally, group reservation site tables that are not reserved in advance may be claimed on a first-come, first-served basis.